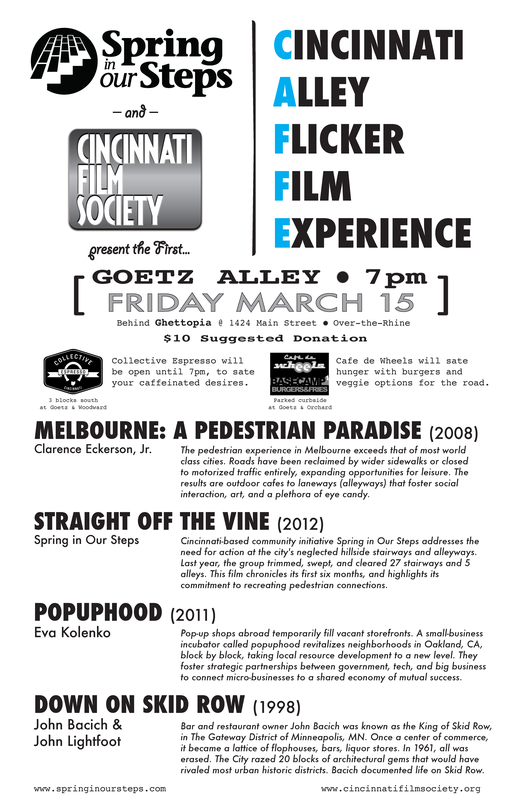 Come support Spring in Our Steps, Cincinnati Film Society, and local businesses Ghettopia, Collective Espresso, and Cafe de Wheels. Also, enjoy Goetz Alley decked out in decorative lights! One half block east of Main Street, stretching from Liberty Street to East 12th Street. Great work Christian, should be a super fun night at Goetz Alley! This entry was posted on March 13, 2013 by C. Huelsman in Alleys.